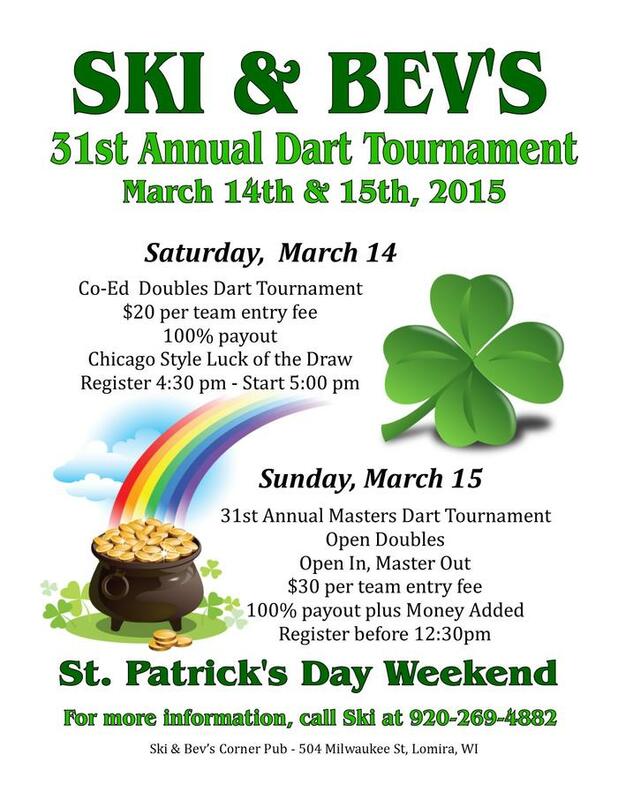 This is the 32nd Annual St. Patrick's Day Weekend Dart Tournament at Ski & Bev's in Lomira! 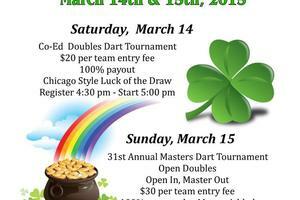 Saturday, March 14th there is a Co-Ed Chicago Style Dart Tournament (bring your partner) - $20 entry fee with 100% payout. Register 4:30pm Shooting 5:00pm. Luck of the Draw tournament to follow. Sunday, March 15th is the Open Doubles 301 Tournament (bring your own partner) - $30 team entry fee - 100% payback Any In, Master Out Register before 12:30pm. If you have any questions, contact Ski at 920-269-4882.